In spite of the socioeconomic and legal barriers that act to limit political participation, East African voters have worked hard to find their voices in American politics. Even as overall voter turnout in Minnesota dropped to a record low of 50% in 2014, voter turnout among East African Minnesotans was much higher at around 70%. The 2014 election was also distinguished by the widespread use of in-person absentee voting by Somali-Americans, many of whom cannot afford to miss work on the actual day of the election. Similar numbers of East African Minnesotans volunteer in community centers and local organizations like the Center for Popular Democracy, an organization dedicated to racial and economic justice, which organized a campaign to raise minimum hourly wages from $8.50 to $15 at MSP International Airport – the largest employer of East African immigrants in Minnesota. A number of organizations founded by East Africans have been instrumental in encouraging civic engagement within the community. The Somali Action Alliance, a civic engagement organization targeting Somali Americans, has led several voter participation campaigns and estimates that their work has helped around 10,000 Somali people become registered voters. Formed in 2012, the grassroots New Americans Political Action Committee has worked to help East African immigrants to Minnesota become involved in local politics. They organized forums to connect the East African community with Minneapolis school board officials and mobilized East Africans living in Minneapolis to vote in the 2012 school board elections - a faction of local government that is very important to new immigrants and their children. Other organizations have worked in diverse ways to combat barriers to political participation. When East African immigrants first began arriving in Minnesota, a well-developed network of immigrant-oriented social services greeted them, helped them navigate through government paperwork and register to vote. Today, these have been joined by a wide range of new organizations representing East Africans, like the Oromo Community of Minnesota (the Oromo are a minority group from Southern Ethiopia and Northern Kenya). Even in the media sphere, the Somali Community Link radio program has worked to dispel negative stereotypes about Somali Minnesotans by providing an inside perspective on the challenges they face in day-to-day life. East African political organization reached new heights in 2013, when Abdi Warsame ran for the position of City Council in Minneapolis’s 6th Ward. Because Minneapolis’s Somali community was split between several wards Voting districts in a town or city, the Citizens Committee for Fair Redistricting first had to lead an effort to re-draw the 6th Ward so that Somali communities would have a unified voice. Further challenges emerged during the election, when Abdi Warsame accused his opponent of running “shadow candidates” with similar names (Abdi Addow, Abukar Abdi) to confuse voters and split the Somali vote. Yet in spite of these difficulties, Warsame was able to mobilize an organized and vocal campaign, relying on door-knocking volunteers and high voter turnout to succeed over his incumbent Politician running for a position they already hold opponent. Warsame’s election marks the first time in Minnesota that a person of Somali descent has held a position as high as City Council member. 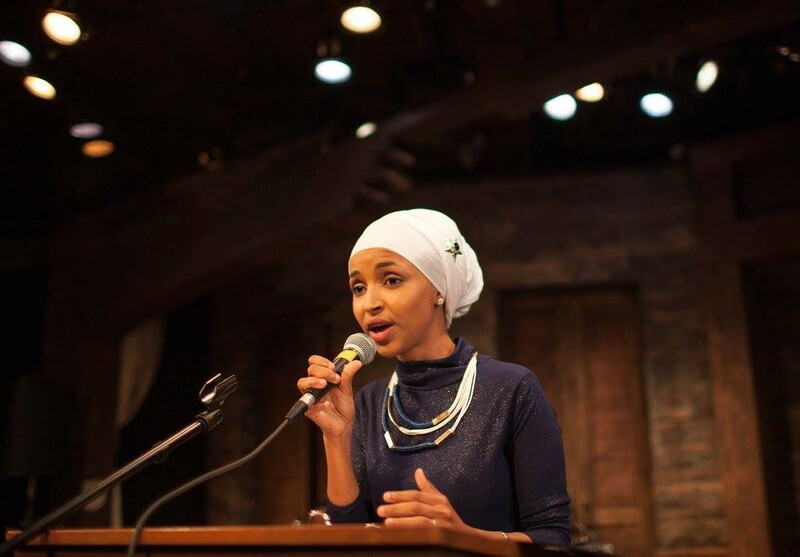 In late 2015, Ilhan Omar, a Somali American, announced her candidacy for Minneapolis House 60B. Omar, if elected, would become the first Muslim, East African woman on record to serve at the state level in any state.